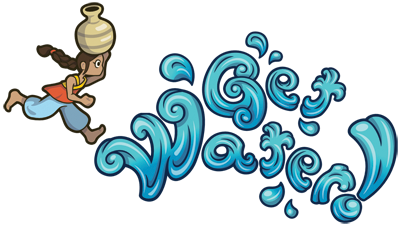 Get Water! is a project that has been built by a multi-national team here in Montreal, and is in a good cause. Working in conjunction with Unicef and Women for Water the game helps highlight a serious world-wide issue for many young people across the globe. I got to play the prototype at MIGS last year, and it's a fun little game. What's more in it's a great cause. Get Water! Indiegogo Campaign from Decode Global on Vimeo. Get Water! is a side scrolling endless runner game designed to drive social change. The game's main character, Maya, is a head-strong, book-loving, optimistic girl who just wants to go to school. Instead, she has to collect water every day, just like so many other girls worldwide. The team have built the game and are in the closing stretch of an Indiegogo campaign to raise founds for localisation and platform ports. With such a focus these days on funding indie and studio games alike through Kickstarter, it is refreshing to see a title that is trying to give something back and make a difference in the world. While they are behind their goal for funding, with Indiegogo every little bit helps! The campaign has just over a day to go and is in such an excellent cause. I'd love to see more people supporting good causes like this!